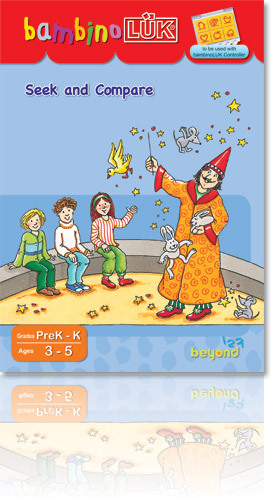 Visual perception provides the foundation for learning to read, to write and to do math. 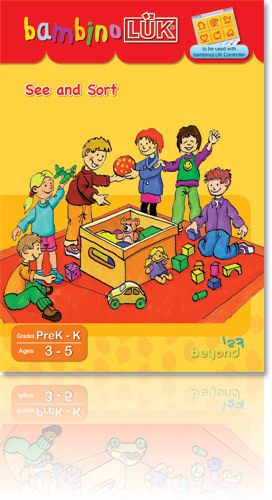 Through playing exercises in these workbooks, children learn to recognize and distinguish different colors, shapes, sizes and positions. Good observation, sorting, and categorizing abilities are also greatly enhanced by these activities. 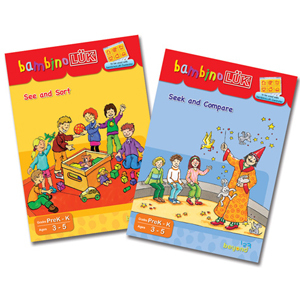 bambinoLUK Visual Perception workbooks are essential for young children?s overall learning. This workbook provides more essential exercises to build solid foundations for children in reading, writing and learning math. The building blocks of building such foundations including visual differentiation and discrimination, accurate observation, and the abilities of relating, combining, and comparing, are greatly enhanced by practicing these exercises.